As one of the newest members, I am submitting one of my recent paintings. I have a series of what I call “Nebula Art”, which I started in 2015 , inspired by the 25th anniversary of the Hubble Space Telescope. I paint in oils, starting with the basic colors and then blend and glaze the oils to achieve an almost translucent effect. 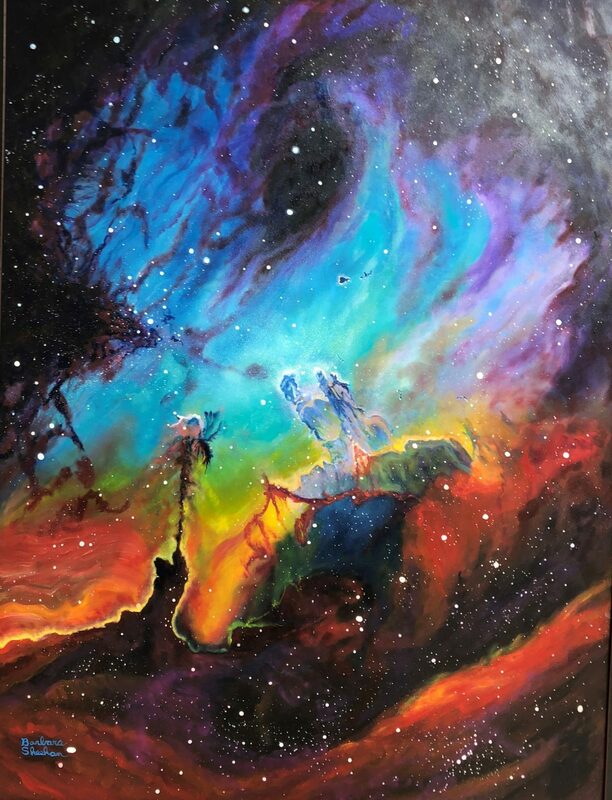 I try to stay true to the Hubble images, but I do take artistic license to get the look I want in the painting. This particular painting originally was to be horizontal , but after it was finished I found it was much more interesting vertical. The painting is large, 36 x 48 inches and was completed in 2017. I welcome any comments, suggestions.